Yes, and it's official!! 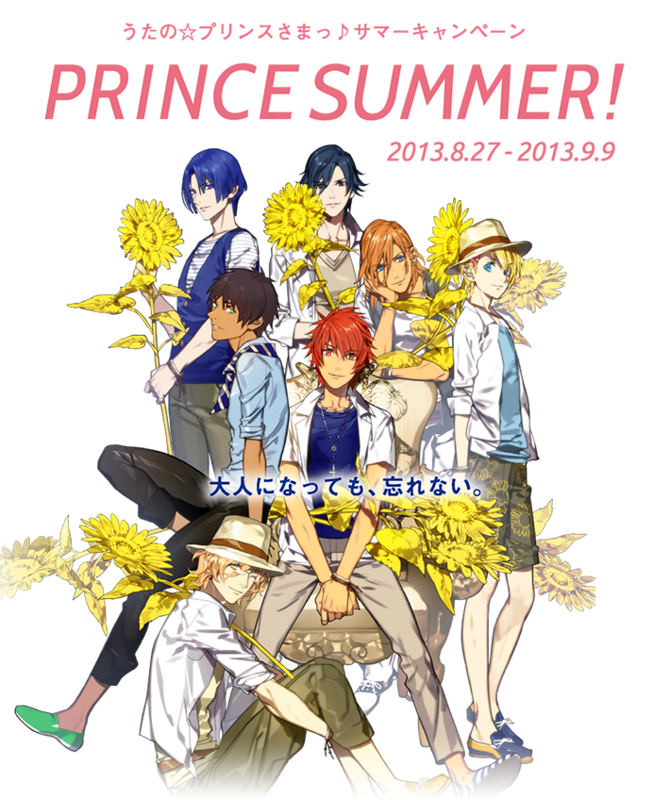 There's a new UtaPri project in store! A summer campaign from the boys! Official site is here. The campaign is held between 27 August 2013 to 9 September 2013. The blurb on the bottom of the main picture translates to: "Here are the belated summer greetings from the 7 idols of Shining Office. Thanks to you, the idols had an eventful/wonderful 2013 Summer. Thank you for you continuous support. Please continue to look forward to their future activities." While the main slogan in the middle translates to: "Although we've become adults, we won't forget". 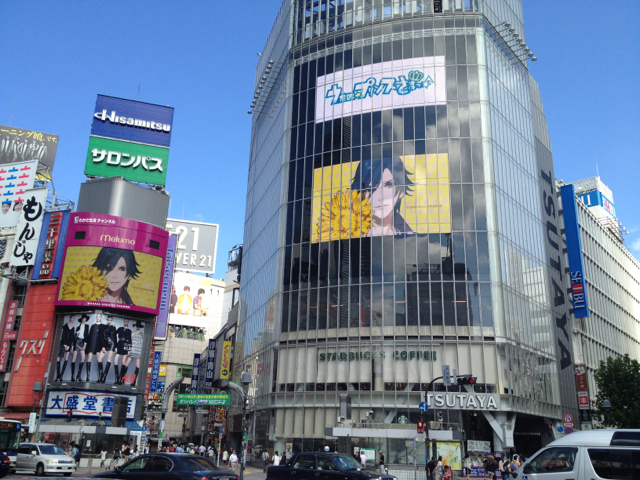 1) and 2) are about the huge posters on the Shibuya109 building. And it's kind of (funny) nice of the company to have this warning that while it's okay to take photos, customers should be careful of their surroundings, especially the traffic. I'm sure there's more in store, so keep an eye out for them!